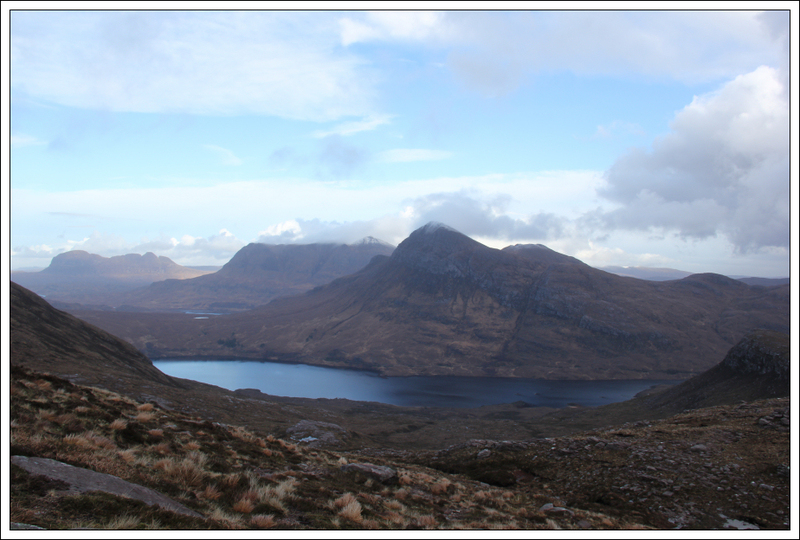 The North-West Highlands weather forecast for Friday looked better in the afternoon, so a reasonably late start saw me arrive at the starting point for around 11.00am. 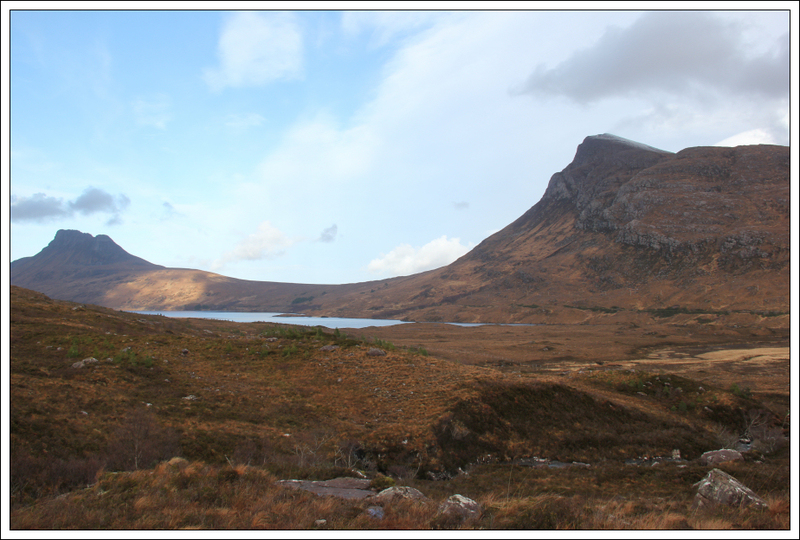 I parked in a lay-by at the east end of Loch Lurgainn where there is room for two cars. 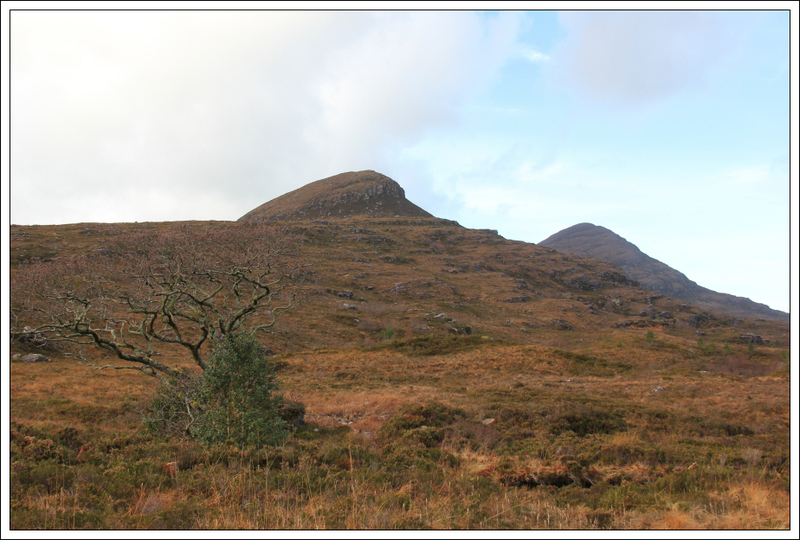 It was fantastic to set off walking with blue sky overhead instead of the almost constant grey cloud, rain and wind of recent months. 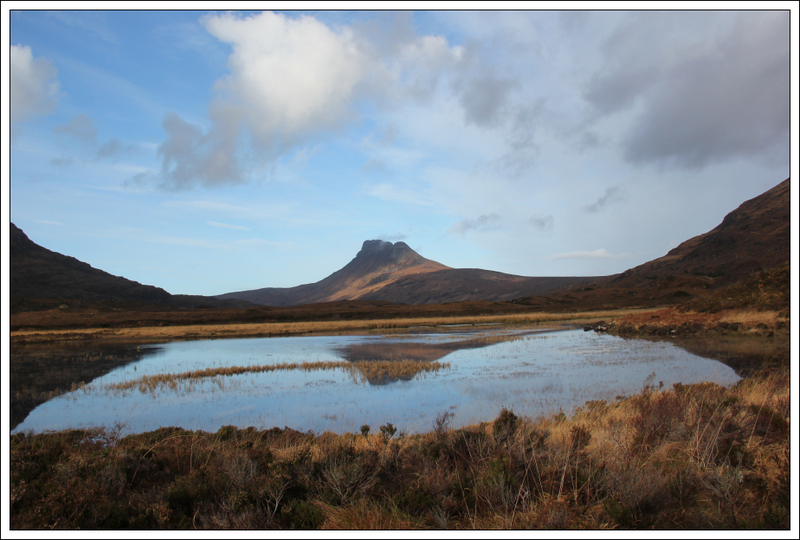 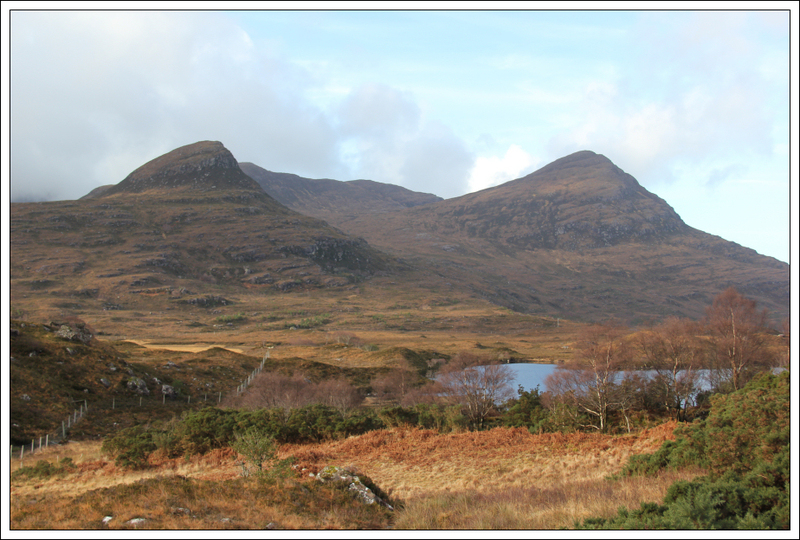 It was nice to see Stac Pollaidh from across Loch Lurgain and Feur-Loch. 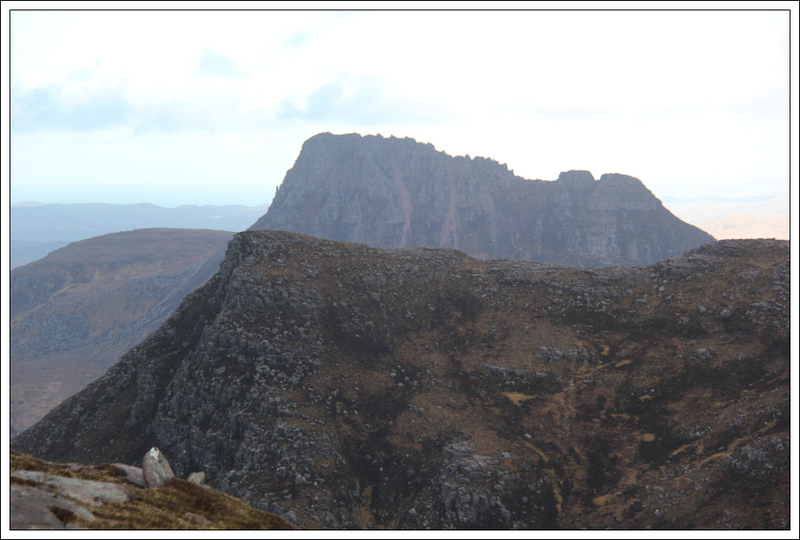 Stac Pollaidh is an outstanding small mountain. 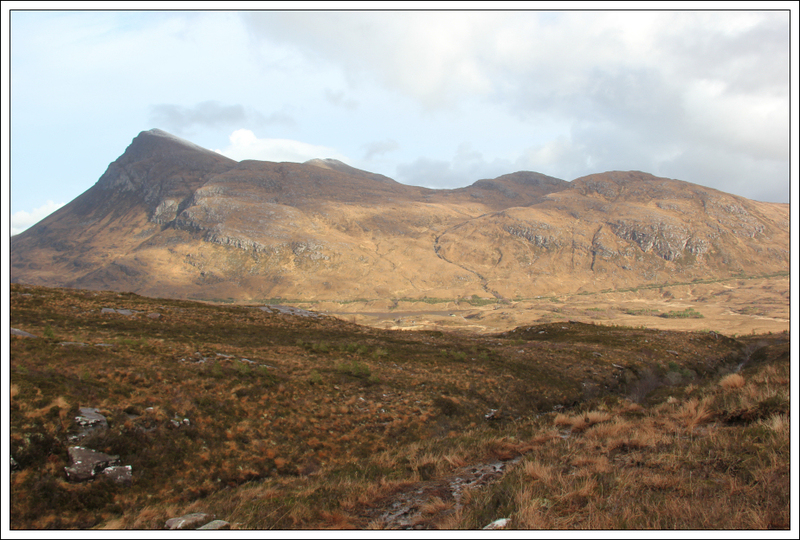 After skirting round the end of Feur-Loch, I followed a faint track alongside the Allt Claonaidh for almost two kilometres. 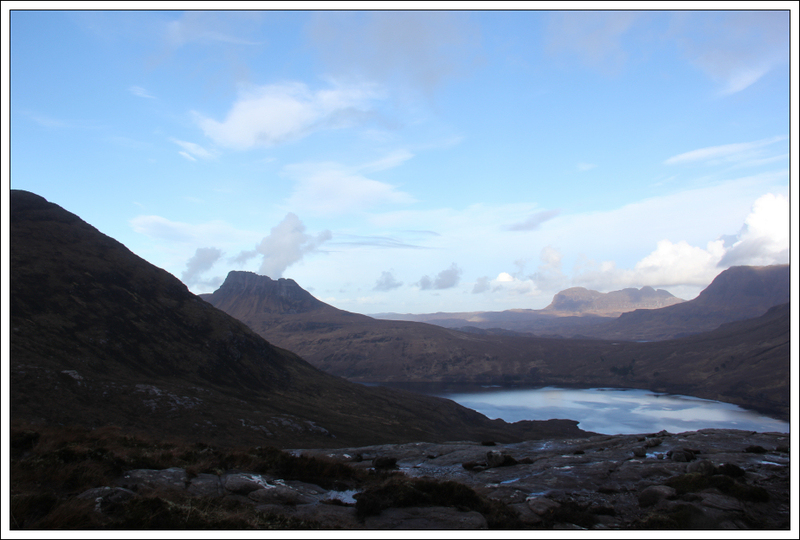 The ground was very wet underfoot. 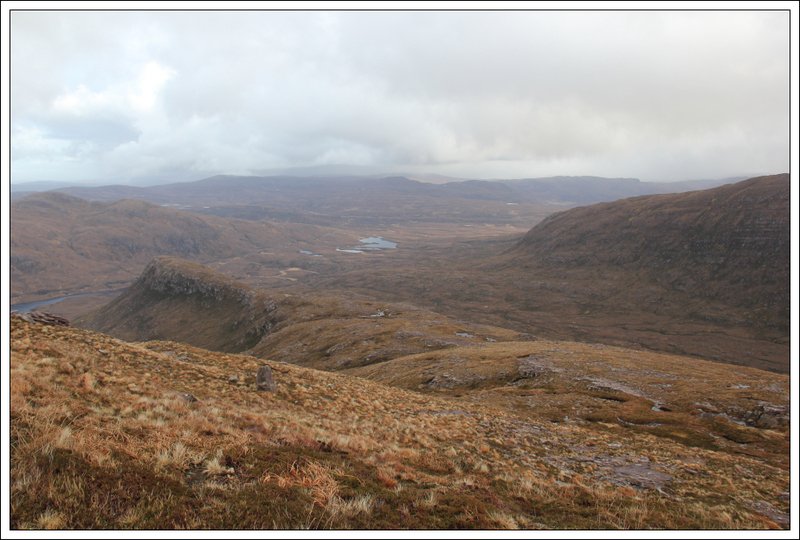 I eventually crossed over the Allt Claonaidh and made my way up to gain the ridge at the col between Cioch Beinn an Eoin and Beinn an Eoin. 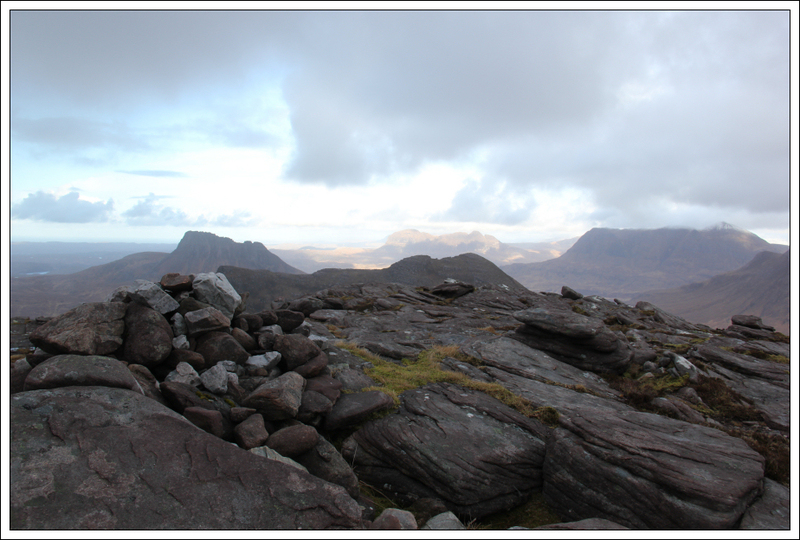 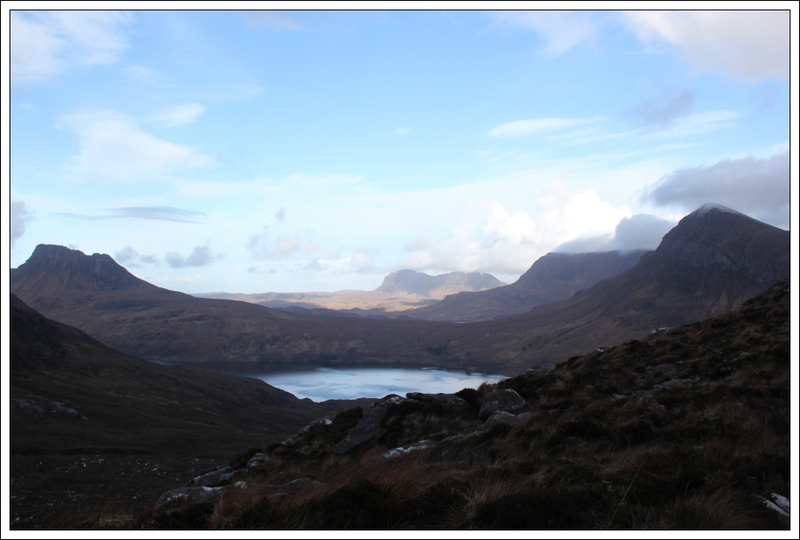 On reaching the ridge I got fantastic views across into Assynt. 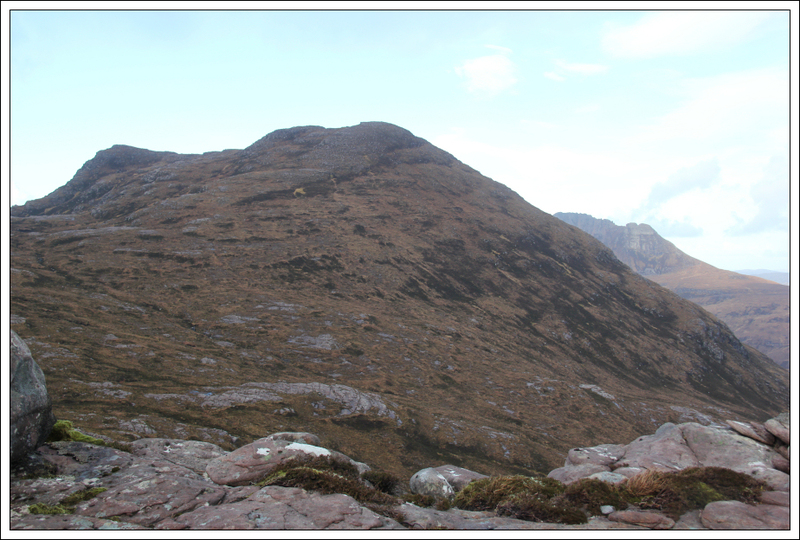 I took several photos whilst at the col.
From the col, I made my way along the ridge towards Beinn an Eoin. 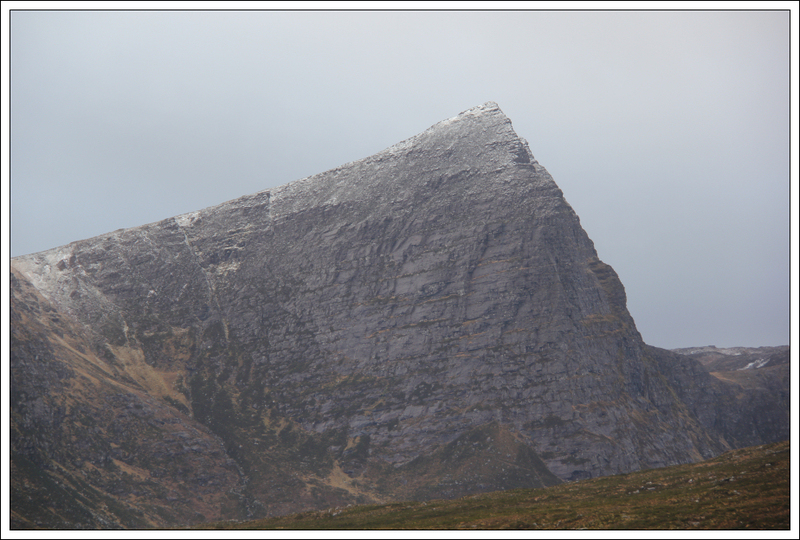 Had I set off earlier in the day, I would have been keen to also ascend Sgorr Thuath. 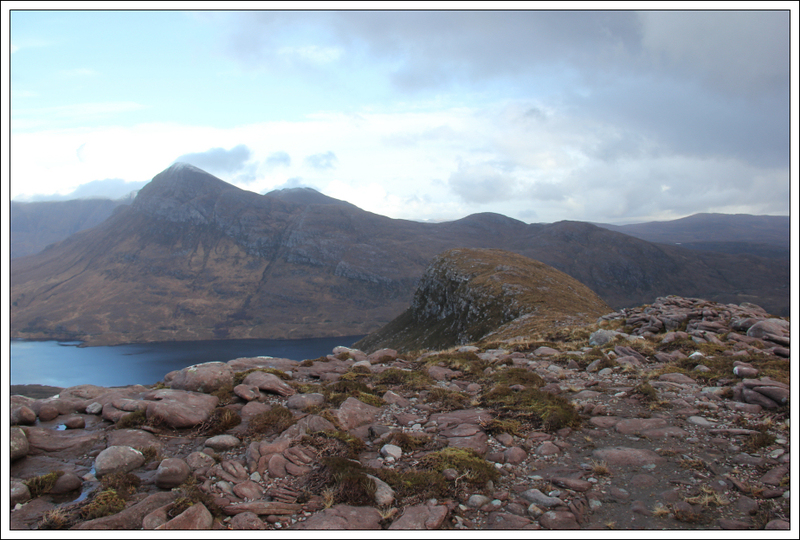 Today would just be an up and back ascent of Beinn an Eoin. 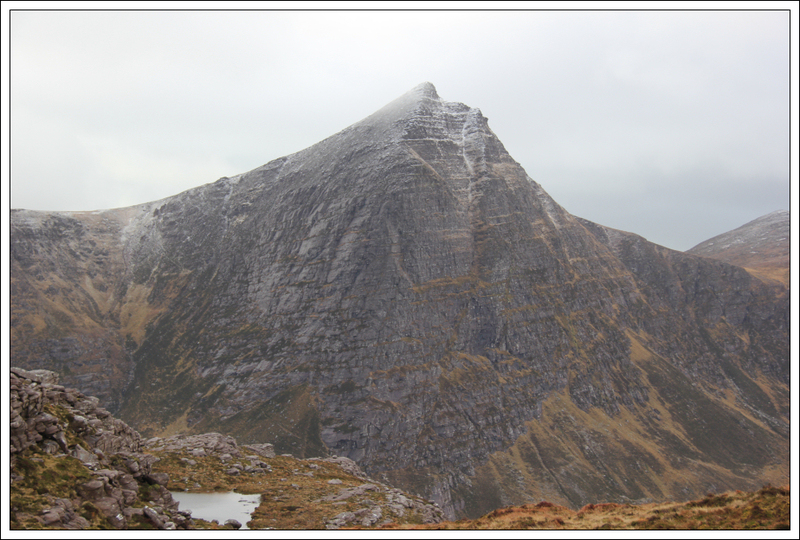 A short distance further along the ridge provided a great viewpoint across to Sgurr an Fhidhleir. 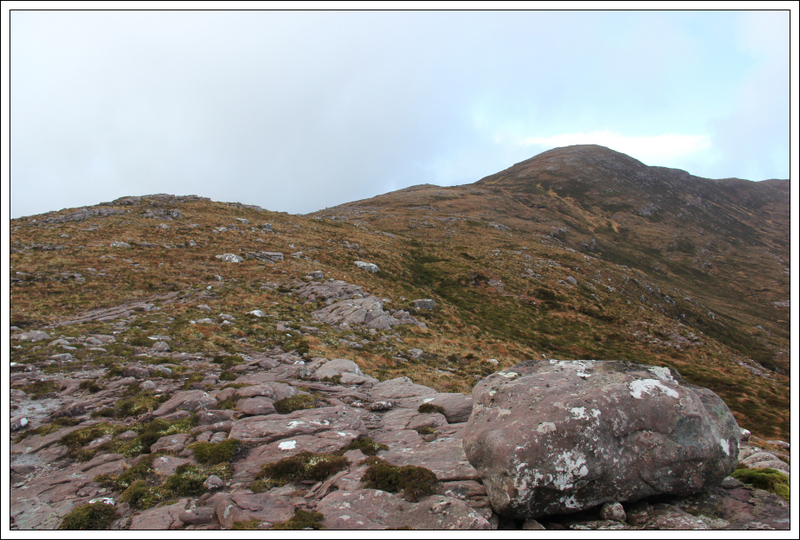 I believe there is an HVS climb up this steep rocky ridge. 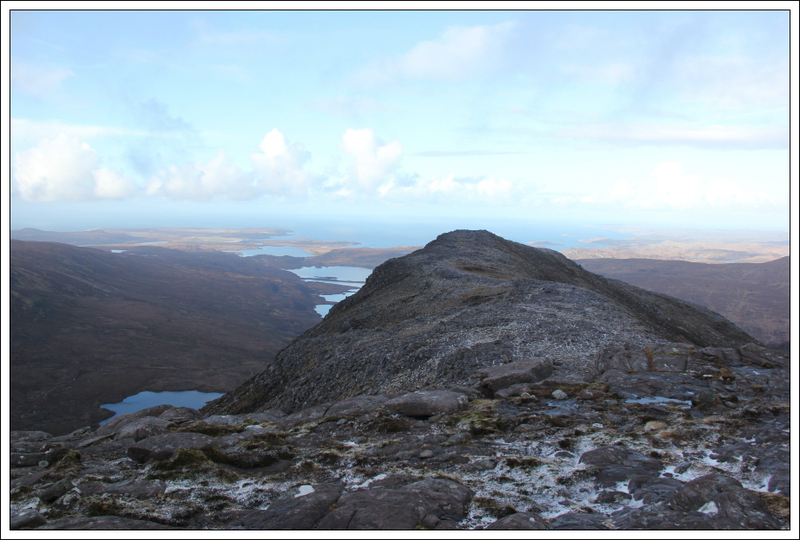 This brought back memories of another good day out in Coigach ascending Ben Mor Coigach and Sgurr an Fhidhleir. 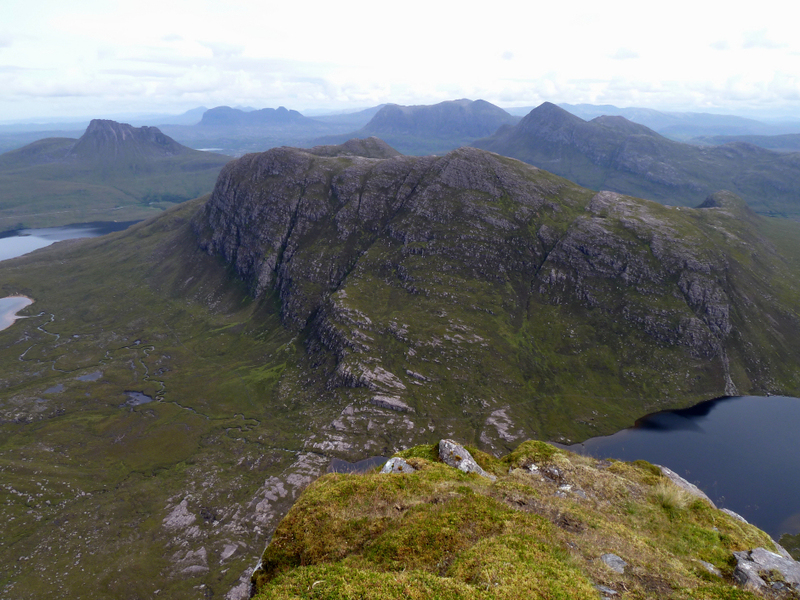 By the time I approached the summit of Beinn an Eoin, the nice blue sky overhead had been replaced with dark grey. 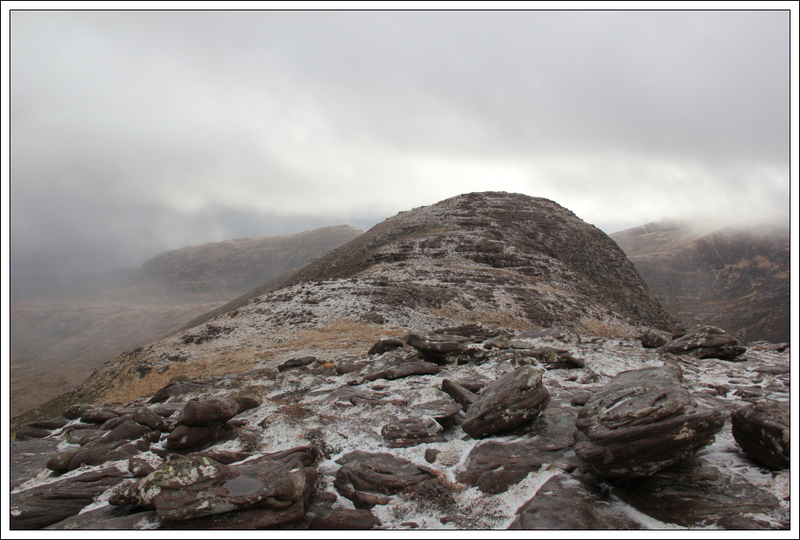 On reaching the summit, I was blasted by hailstones. 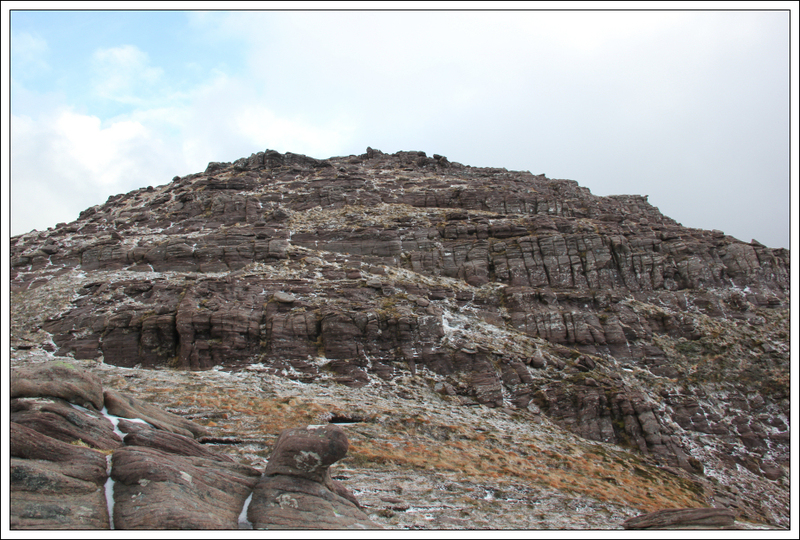 While at the summit, I decided to head out to the North Top before returning back the same way. 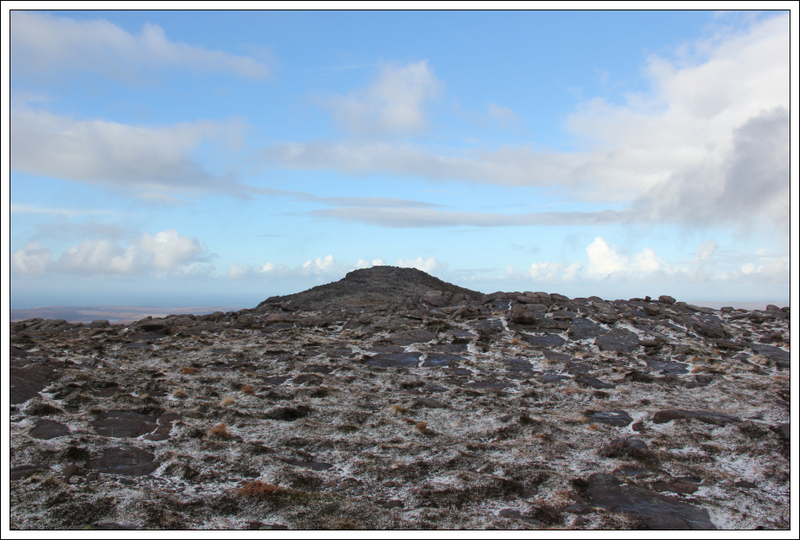 The hailstones persisted all the way from the summit to the North Top. 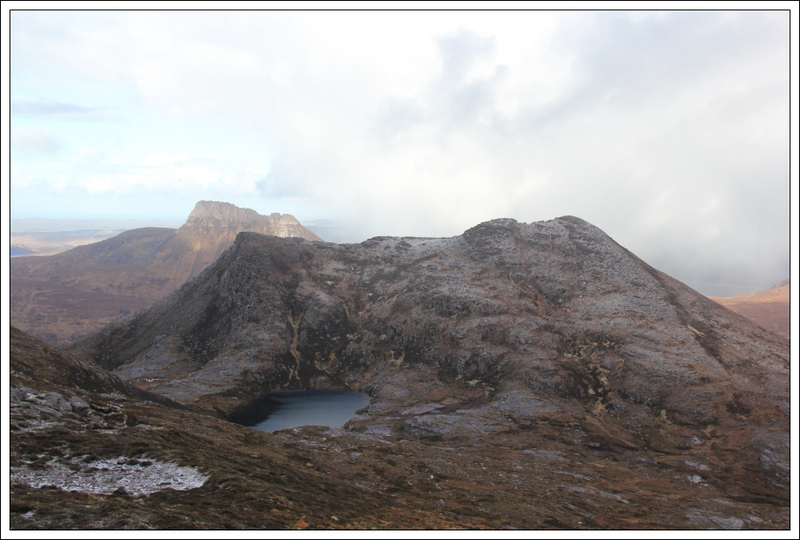 On the return to the summit, the hailstones stopped and the blue sky returned. 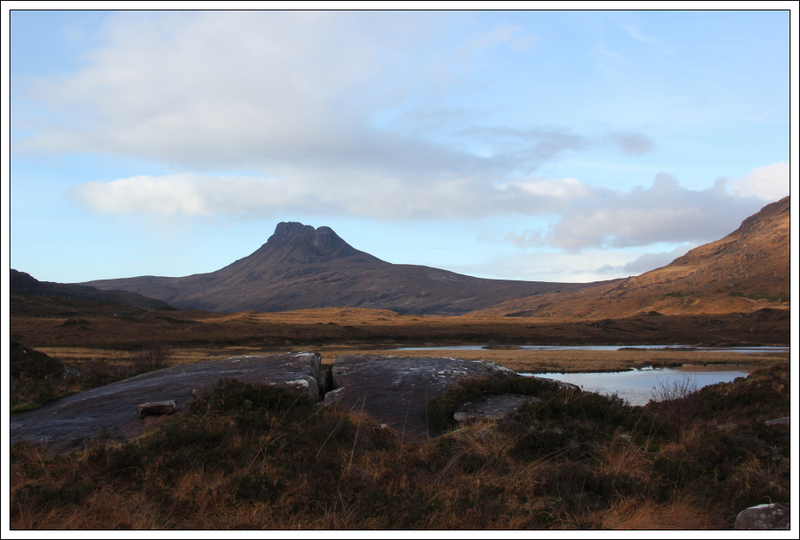 Thankfully it was just a passing shower. 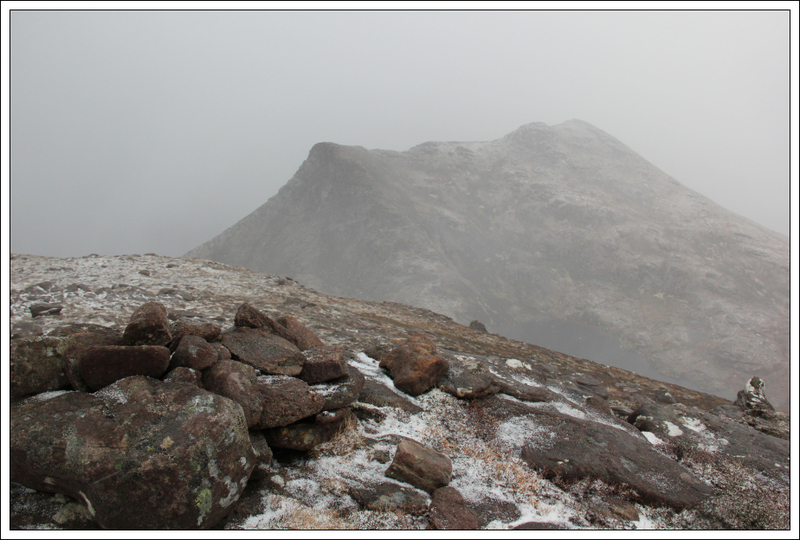 I stopped to take another photo at the summit as the visibility was now better than circa 30 minutes previous. 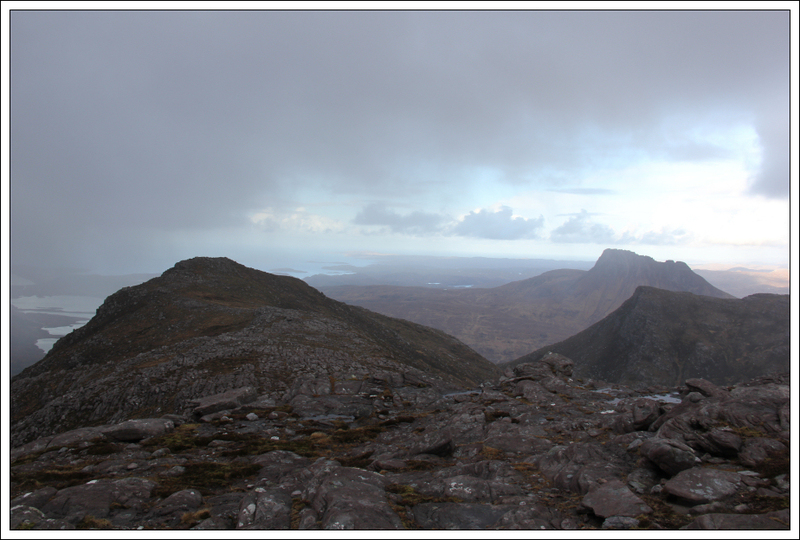 To top off this fantastic short day out on Beinn an Eoin, I stopped for fish and chips in Ullapool on the way back. 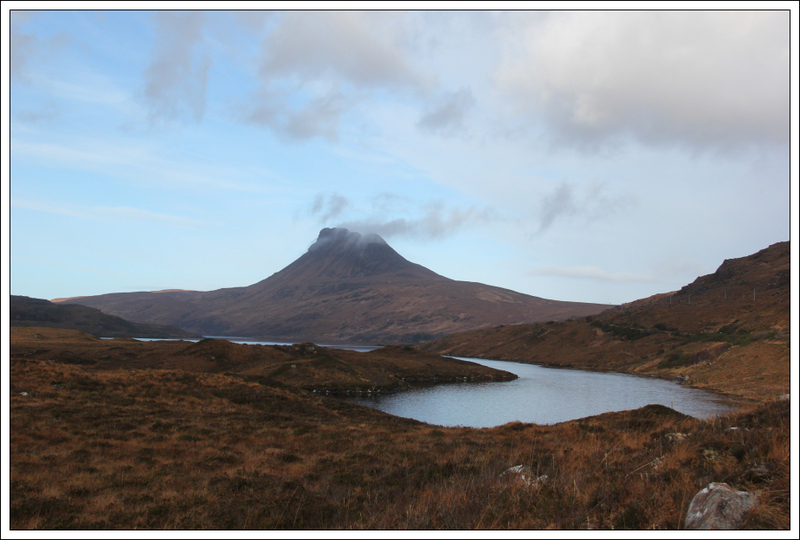 A must if visiting Ullapool!